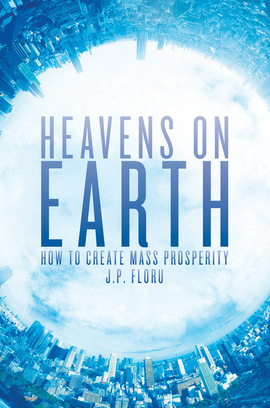 In Heavens on Earth: How to Create Mass Prosperity, J. P. Floru investigates countries which have drastically reformed their economies to create durable growth and prosperity. In a series of cases studies the author considers the measures that led Chile, New Zealand, China or the US to an era of plenty where all parts of society, including the poorest, became better off. Supporting Adam Smith’s observation that liberating people from tax, regulations and central state planning can increase productivity and wealth, Floru makes a case against Western leaders’ and political clairvoyants’ tendency to seek solutions in the very theories which caused the world economic crisis in the first place and argues that only growth can increase the total wealth and give a brighter future to everyone. Heavens on Earth is as much a story as an aide to growth-producing public policy. It takes a sweeping view of traditions across the globe and across time while introducing us to the remarkable individuals who made it all happen. This history of growth never bores and never lectures: it tells us how wealth was produced, and how it can be done again – to create Heavens on Earth. a timely and well-written refresher on what truly drives economic growth. Policymakers on both sides of the Atlantic should read it, quickly. Floru’s writing style is instantly engaging…Because of this, it’s one of the first books I will now recommend to people who don’t believe in the power of the free-market, but want to understand more about it… you won’t regret having picked it up.